Reinforcements deal with the internal structure of the canoe–How the canoe is stiffened up to hold its shape, how structural components are installed, and spot reinforcement for high-stress areas. 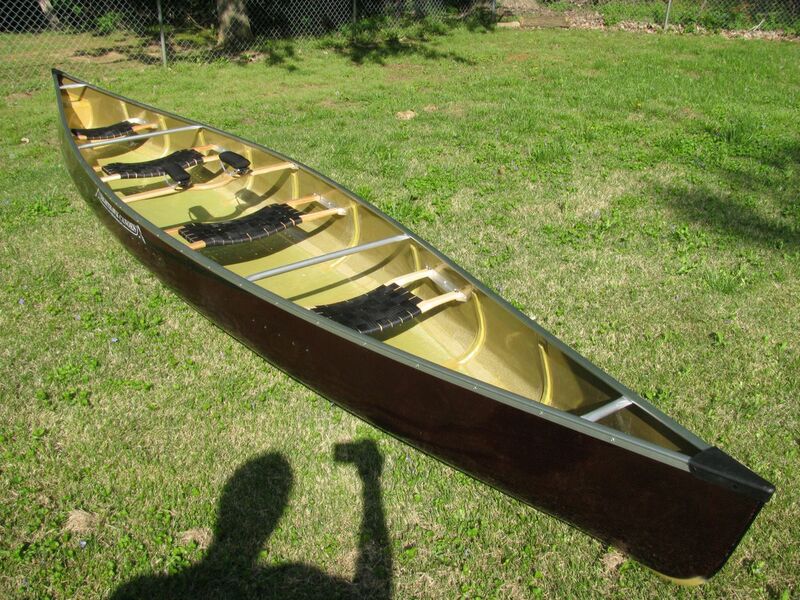 Ribs (standard): A canoe requires reinforcement to make it stiff enough to hold its shape under load. Ribs provide the best combination of durability and lightweight. In my ribbed canoes there are 10-14 ribs across the floor. Each is 3” wide and ½” high. 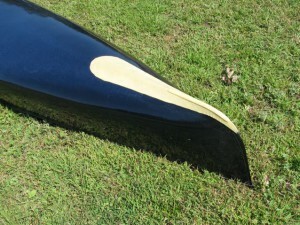 Ribs provide excellent stiffness, and my layup is done in such a way that the floor of the canoe can not “oilcan” or “washboard”– buckling inward between ribs. (A problem that comes up if too few ribs are used). Ribs have some give to them, and simply spring back to shape after a strong blow, rather than cracking, gouging or puncturing. They increase the durability of the canoe considerably. 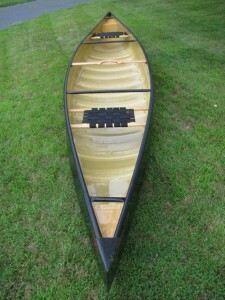 Ribs also help keep gear dry, by elevating packs and containers above the floor of the canoe. 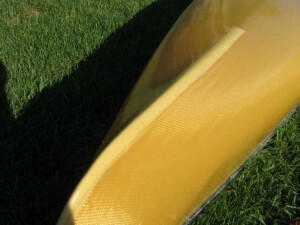 Foam-Core: Foam core is the standard option for most lightweight canoes as it installs faster and looks cleaner. I am happy to use this optional build for paddlers who request it. 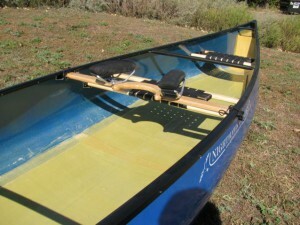 It is especially good for paddlers who use the kneeling position, and it is easier to move gear around in the canoe. It is also better for pets if you ever bring a dog with and want your pet to lie down on a more comfortable surface. As mentioned above, it is somewhat more brittle when stressed and tends to let water slosh about a bit more. Side Ribs: I typically only use this option in special circumstances when extra side-wall stiffness is required. Contact me for details. 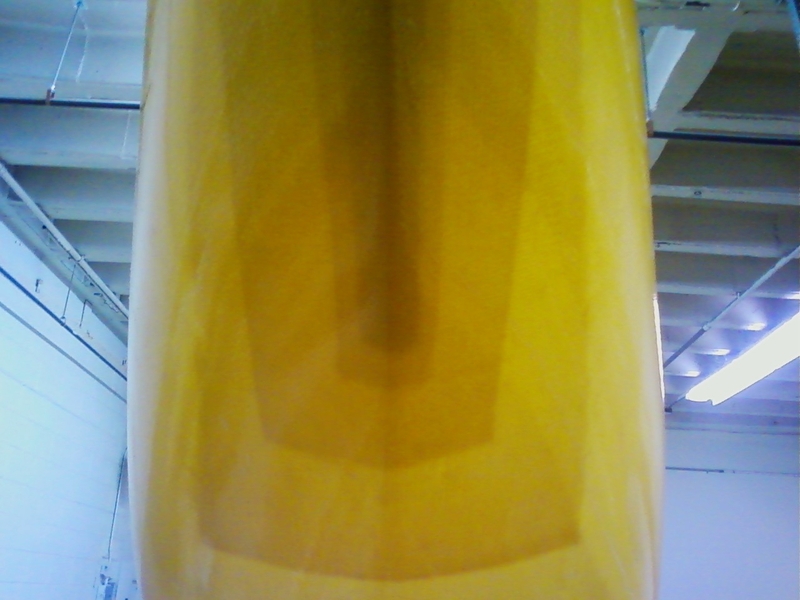 material internally, where you gain the extra durability without the aesthetic penalty of external skids. Note: When you order skid plates with your canoe, they are fully integrated into the canoe hull, and come out smooth and tidy. 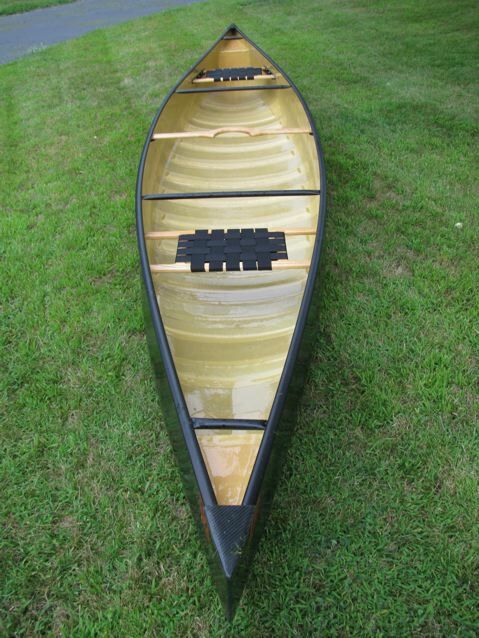 They look and work MUCH better than after-market skids and are quiet and do not interfere with the performance of the canoe. I strongly recommend the small skid plates over the large ones, as the larger ones can add 3 lbs or more to the final weight of the canoe, and do not significantly improve durability over the smaller ones. Please also note the photo below, that shows the over-lapping internal skid reinforcement, already built into the canoe. (3 layer hull, plus 4 layers of extra material along the inside of the canoe skid area).